Do I need a mobile App for my school? Mobile school Apps are so expensive – why do we need one? 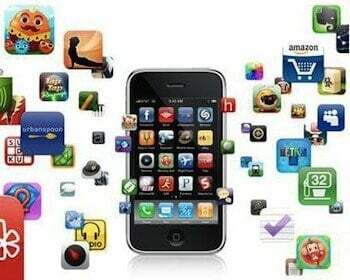 Mobile Apps for schools have become a big question and with good reason – take the web traffic from my school to it’s main domain: sewickley.org. During the 2010-2011 school year mobile web traffic accounted for only 3.49% of our total web visits. The 2011-2012 school year saw our mobile web traffic jump to 7.43%. An even more significant increase when you consider that the actual mobile web visits increased from 12,590 to 25,378. I anticipate that mobile web traffic will only continue to increase leading one to believe that a mobile App for your school would be a good investment. Here’s the secret – I don’t think you need a mobile App for your school. The real question you should be asking isn’t do you need a mobile App but what value your different constituencies would receive by using a mobile App. I don’t think that people want to download and use an App that simply is a repacking of your current web content. If you don’t offer your users additional benefits through the use of your mobile App then they will use it once and never use it again. With that said, we are launching a mobile App this September that is being developed by our website provider. The simple reason we decided to launch the mobile App is because the App will allow our parents and students to more easily access their respective portals. Our parents and students use the portals to access homework, tests, schedules, and calendars. The mobile App we are launching provides a better interface for our parents and students and as a result, provides more value to them as well. Rather than thinking about a mobile App for your school I think you should be thinking about mobile responsive design. Is your school website mobile responsive? That is the question you should be asking yourself. As more and varied devices are being introduced at a increasingly quick pace I think you should be focusing on making your school’s webpage experience as rich and productive as possible for your entire audience – no matter device they choose to browse the web. Even though we are launching a mobile App this September we do so with the purpose of serving our internal audience and not our external audience. Making a decision to launch a mobile App for your school really depends on what you are trying to accomplish. If you are trying to add value to your internal audiences then a mobile App might make sense for you if the App provides the value you hope to achieve. If you are thinking about your website in terms of marketing and finding new students then I think a mobile App is not the best investment for your school. I think you should turn your attention to mobile responsive design and work in making your greatest marketing asset, your school’s website, easily accessible by all devices, web browsers, and monitor sizes. In most cases I don’t think you need a mobile App for your school. I think you should focus more on mobile responsive design. Do you have a mobile App for your school? Is the App successful by your standards? Have you decided to not use a mobile App for your school? Thank you to Dr. Jennifer Morrow, Director of Admission, Corbett Preparatory School in Tampa, FL. for the idea for this blog post. Accually, it’s been a while with me thinking of the importance of our school having a mobile app, specially for the reason that garry65 said, to make parents communicate through the most popular ways. We have had great success with our AllDraw collaborative drawing app (alldraw.maadotaa.com). The success came only after we started marketing directly to schools. It’s a lot of work but without direct marketing and with 600k apps to compete with, it’s not realistic to expect success. thank you for sharing such a great information with us.i am heard about this blog then i am seen this and improve my self. I totally agree (that mobile interface is more important than an app per se). A huge additional benefit to responsive design (I think!) is one less set of links/feeds to manage in the backend. Plus, with operating systems and devices evolving so rapidly, a good responsive design will (should) have more staying power. Mobile apps for schools are more than just about replicating a school’s website. My business http://www.ischoolapps.com.au makes apps for schools so it’s fair to say my opinion will be biased but for schools that purchase and use apps from us all love the “upgrade” in communications with their school community. Instant alerts (free to do on app) are one of the most popular features … sure they can do this with SMS messaging what’s the cost of several hundred SMS alerts each month. Also popular is the ability of parents to instantly complete forms (like an absentee form) and send it via app to the teacher of their child’s class. Events calendar, picture and video galleries, and immediate access to important school information are all other benefits of a school app for parents. Sure there is overlap with a website but you only have to ask yourself what does a parent use more … their smartphone or their computer and there is no prize for guessing why having a mobile app lifts the school engagement with it’s parent community. All this for hundreds of dollars and not thousands of dollars …. why wouldn’t a school move with the trend and engage with their stakeholders on their most popular communications device rather than force them to communicate via website. Thanks for taking the time to comment Bob! I couldn’t agree with you more…especially the part about the need to create multiple Apps based upon different platforms. I could not agree with you more. As a value added service for a school’s internal audience, apps make a great deal of sense. It allows students and families to readily access the services they need. They are already familiar with the internal structure of the school and where services reside, particularly on the college side. Thanks for your thoughts Randy and you’re right on! Great suggestion for schools and I hope they do as you suggest. Great idea for a post – curious how many schools will throw $$ at an app because “everyone is doing it” and not really have a reason (this is a familiar theme to an old problem – spending $$ without a strategy). I like clarifying its intent for internal vs external. I’d be curious to see examples of an app for external marketing purposes. But I do think schools should think about the mobile-friendliness of their website for those prospective families (hint for schools: go ahead and look at your school’s website on every known browser and device . . . how does it look/function?.